Coronation Street fans are in for a nice surprise – stars from the long-running British soap have just filmed a special celebrity episode of Who Wants to be a Millionaire for charity. 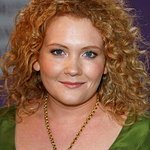 Jennie McAlpine, who plays Fiz Brown, and Samia Smith, who plays Maria Connor, joined Sally Whittaker (Sally Webster) and Michael Starke (Jerry Morton) for the first episode of the new series of the popular game show, each representing a charity close to their hearts. Her partner in the quiz hot seat – Samia Smith – was hoping to hit the jackpot for Cancer Research UK in the first of three ITV1 celebrity charity specials, with Whittaker representing ActionAid and Starke playing for Zoe’s Place Baby Hospice in Liverpool. Coronation Street is one of the longest running television shows in Britain, with its first broadcast almost 48 years ago. The Who Wants to be a Millionaire special will screen on ITV on August 16.